The San Jose DMV office is one of four facilities DGS recently helped open following the passage of Assembly Bill 60. The Department of General Services (DGS) is pleased to announce the opening of four brand new Department of Motor Vehicles (DMV) offices now open to the public across California. 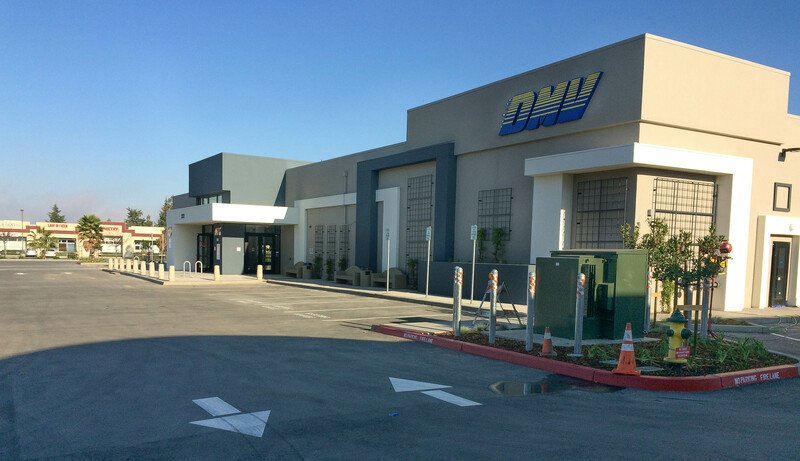 DGS worked with DMV to deliver the leased field offices in Los Angeles, Lompoc, San Jose and Stanton. The project comes in anticipation of 1.4 million undocumented persons who may apply for driver licenses following the passage of AB60 in October 2013. The law, which goes into effect Jan. 1, 2015, requires DMV to issue driver licenses to undocumented persons who qualify. Since the passage of AB60, the DGS and DMV teams of leasing, planning and facilities personnel worked diligently to get the offices open. The projects moved quickly from property selection in December 2013 to planning and design in January/February 2014 and finally to lease execution in March 2014.